Madison, Wisconsin is a national leader in citywide support of local food through an extensive neighborhood network of farmers markets (including the largest in the country), strong membership in Community Supported Agriculture (CSA) programs, farm-to-table restaurants, a burgeoning wholesale local food hub, a shared-use kitchen and thriving food cooperatives. Building on these efforts, Madison has long sought a permanent home for local food – a public market. In October 2013 the city and its Local Food Committee (LFC), retained PPS to complete a three-phased process culminating in an achievable business plan for a new public market. PPS’s three-phased process was based on an analysis of the three elements of a successful public market – products, people and place. 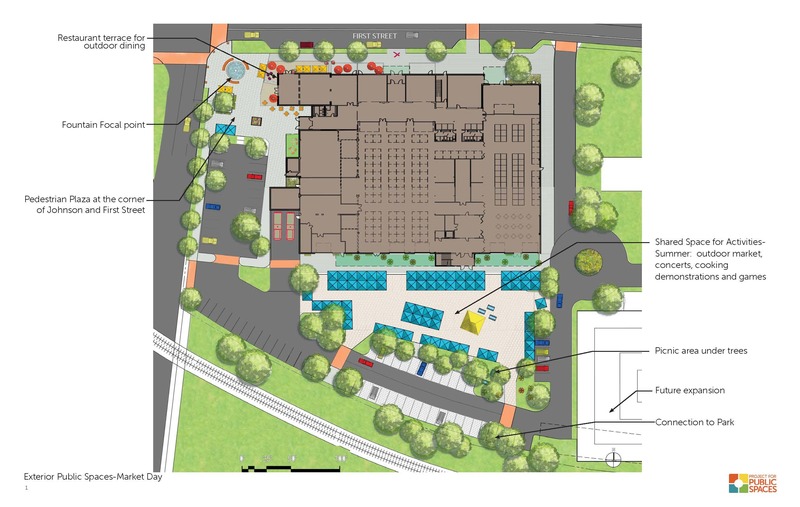 The first phase determined the feasibility of and concept for a permanent public market and included surveys and focus groups with potential vendors and customers, as well as interviews with regional food systems professionals. In Phase Two we reviewed three potential neighborhood-based sites and recommended one based on its sales potential, vendor preferences, the availability of real estate, and the potential to create a market district and an extraordinary public space. Finally, in Phase Three, PPS facilitated a Placemaking workshop at the recommended site and worked with a local architect to develop three design/layout options for the site along with a cost estimate for each. Throughout the entire process we worked with city staff to engage residents in a rigorous public engagement process through a series of meetings and workshops. PPS delivered a final business plan to the City of Madison that was the result of extensive research, analysis and design efforts combined with our multi-decade experience and knowledge of public market management and operational requirements. Upon approval from the City’s Common Council, the City will use this business plan to set up a Transition Team who will move the project forward from concept into reality.